Are the stories / suggestions in Hidden By Order Fact or Fiction? Where did the material in the book get sourced? Where possible the book’s references are highlighted in the book itself, you’ll see references to texts you can find yourself online and in libraries. Often the truth is hidden in plain sight. Why is the material being revealed now? Previously it was shared amongst inner circles only, but now is the time as we run up to 2012. The world is ready. 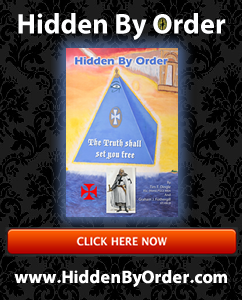 Who are the authors of Hidden By Order? Who is available for interviews?